Tell her you love her with this gorgeous gold dipped pink rose. 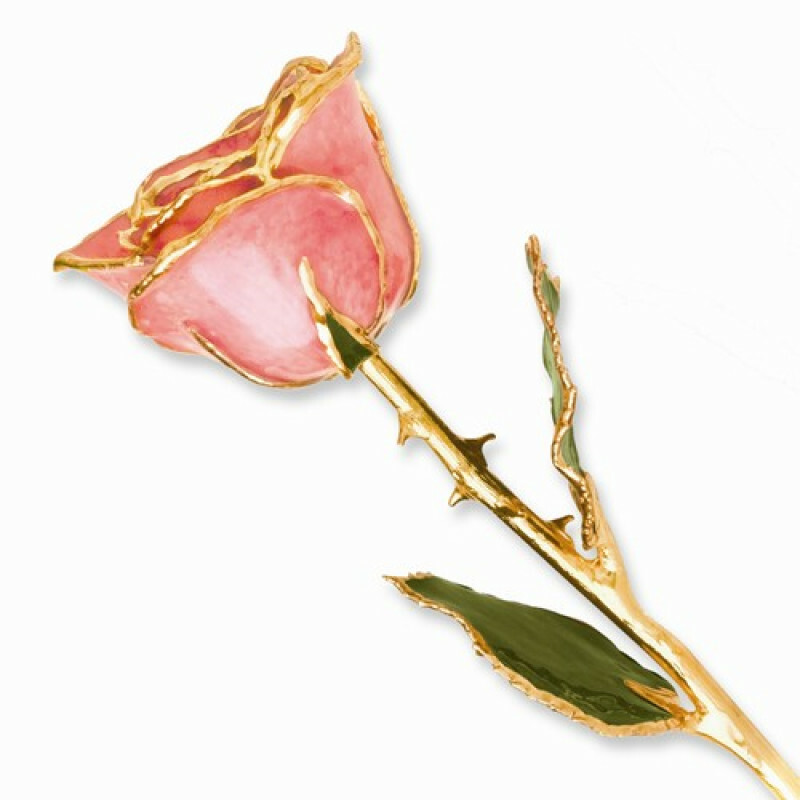 This cherished gift is a real rose dipped in lacquer and trimmed in pure 24K gold and measures 11 inches long. It comes in a gift box to keep it safe and for a nice presentation.